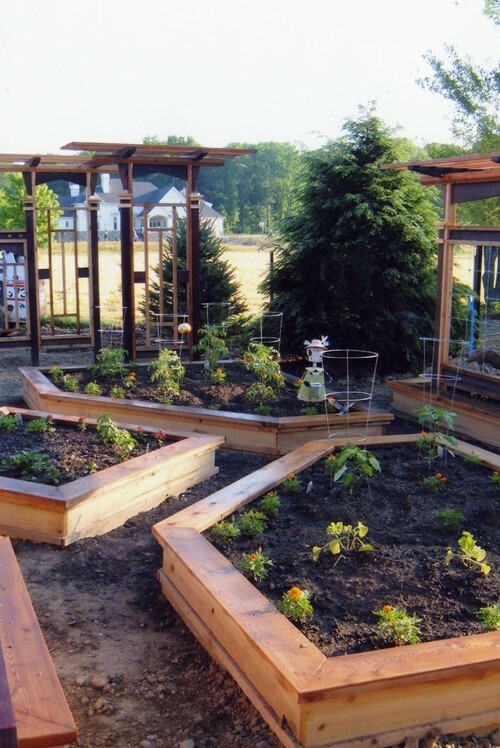 5 Amazing Raised Garden Beds | Wood. It's Real. | Wood. It's Real. Having a raised garden bed at home is a great way to grow your own fruits, vegetables, and flowers. If you’re building your own raised garden bed this year, consider building with pressure-treated Southern Yellow Pine. Using pressure-treated lumber isn’t only a sturdy, environmentally friendly choice. It’s also a good way to support your local economy (buying a homegrown product) and a smart decision in terms of durability. 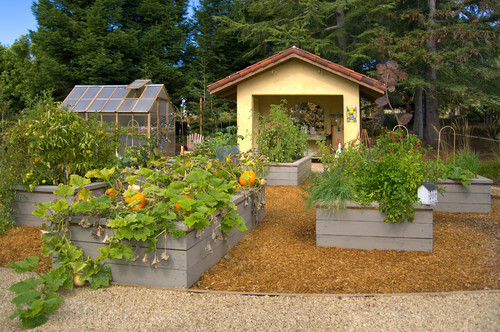 Here are six real-life examples of beautiful raised garden beds to give you some inspiration. The Hampton Garden was built by Rob Kyne of Vancouver, WA. The garden beds are surrounded by gravel consisting of 3/4 crushed stone. These beds, in particular, were used to grow vegetables and herbs, as well as flowers. The Garden Route company built this raised bed as an architectural feature to a steep hillside backyard. The garden is supported by a wood wall made of 1x4s. 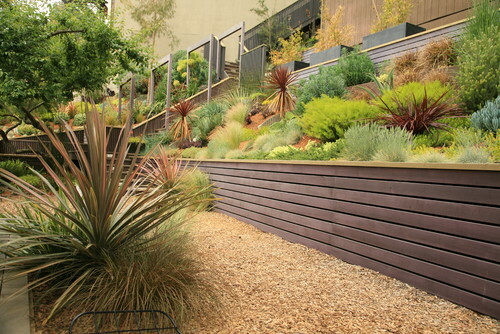 While not your typical garden bed, this hillside garden added color and depth to the landscaping. Kikuchi + Kankel Design Group created this group of raised garden beds in the backyard of the Saratoga Estate they designed. 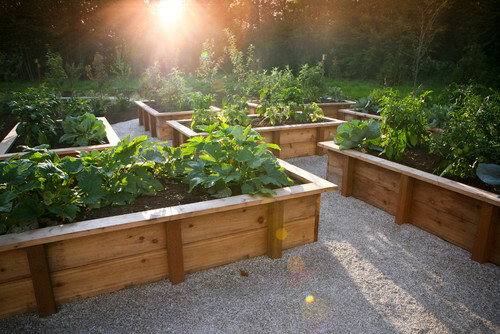 We like how it’s a truly raised bed…less dirt on your knees when planting. 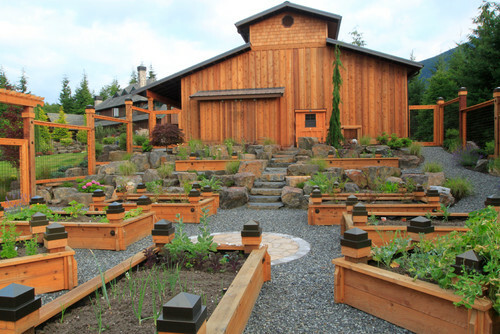 These raised beds and matching fence were created for a client with a farmhouse in Seattle. The fence is to keep the deer out, and the gardens have a drip irrigation system. These garden beds show that you don’t have to have perfectly squared boxes to make for an interesting garden. The angles give the garden a high brow feel while maintaining its beautiful simplicity.